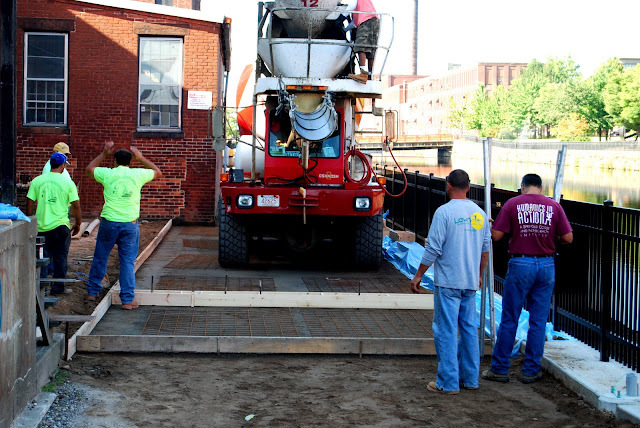 I noticed they started the Holyoke Canalwalk concrete pour. The walk features concrete stamped to look like red brick. I am so glad they decided to use the concrete that has the color throughout - as opposed to just spraying the color on top. The lights are also up (though they aren't in this picture), and they look GREAT! Can't wait to walk along the canal. 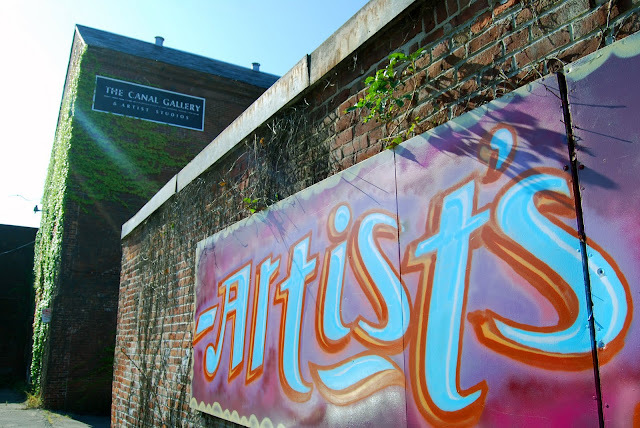 Someone painted this most excellent sign outside the Canal Gallery and Artist Studio building. It's right next door to the canal walk. You are welcome! I love your blog, I really do. I have a hard time commenting on your blog as well. Thats why I have to post as 'christine' form work but can be Reduce from home.